As nominated by broadcasters worldwide. ZMR is the Industry Source for New Age, World, Ambient, Electronic, Solo Piano, Relaxation, Instrumental and many other genres of Music. 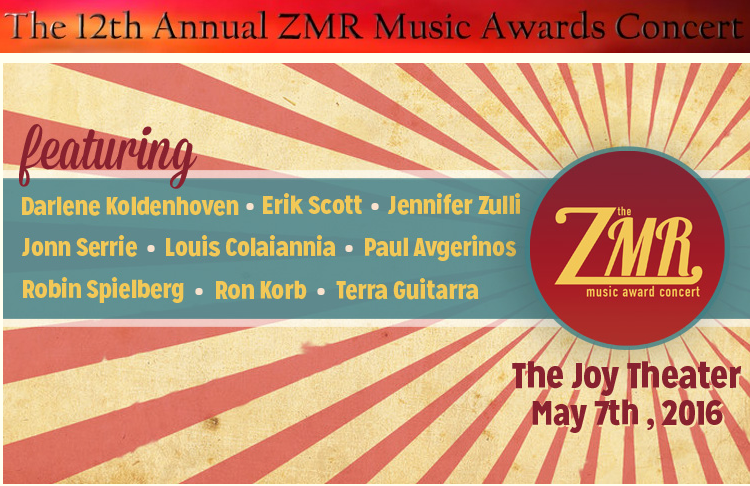 ZoneMusicReporter will once again host the ZMR Music Awards Live in New Orleans, LA at the Joy Theater on May 7th, 2016. ZoneMusicReporter.com provides a number of services for artists, promoters, and broadcasters of new age music, world music, ambient music, electronic music and all the other genres mentioned above, all covered in greater detail on their Welcome page.